Not so long ago, taking a Literature class at UCLA, I was pleasantly surprised when the professor mentioned Dr. Viktor Frankl in connection with a point about meaning and purpose. Now there was a name I hadn’t heard for a while. It was one of my youngish parishioners in Toronto in the 1980s who had rekindled my serious interest in one of the late 20th century’s most respected authors and therapists. My wife and I went to hear him in Toronto in 1987 when word came he would not make it due to a serious illness – his last, as it happened. Double connections, then, the way life sometimes plays games with itself. 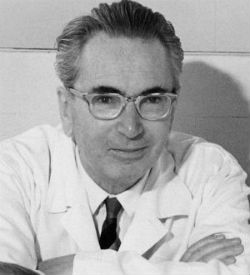 Dr. Viktor Frankl (1905-1987) was known as the founder of the “third Viennese school” of psychotherapy, behind the almost legendary Freud and Jung. At the core of Frankl’s belief was the conviction that human beings are characterized by a thirst for meaning. Even the most dismal circumstances can be endured, he taught, once a purpose can be found, something that makes some sense of suffering. 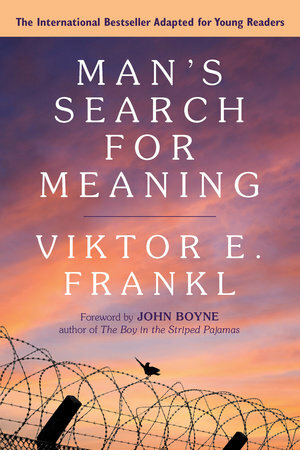 Frankl’s hallmark book, Man’s Search for Meaning, sold nine million copies (at last count) and was translated into twenty-three languages. If there is a slight “existential” tone to Frankl’s statement that is because he never shunned the label. Viktor Frankl was a man very aware of the leading currents of thought in his time. Born to a Jewish family in Vienna, Frankl earned a doctorate in medicine in 1930 but found himself drawn to psychology after having offered an exceptionally successful program to counsel students on the verge of suicidal depression six years earlier. From 1933 to 1937 he treated more than 30,000 women patients drawn towards self-extinction at what was called the “suicide pavilion” of Vienna’s General Hospital. This brief reverie led prisoner Frankl to an exquisite moment of revelation: “I understood how a man who has nothing left in this world still may know bliss, be it only for a moment, in the contemplation of his beloved. 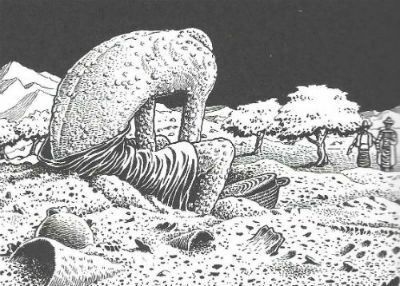 In a position of utter desolation, when man cannot express himself in positive action, when his only achievement may consist in enduring his sufferings in the right way – an honorable way – in such a position man can, through loving contemplation of the image he carries of his beloved, achieve fulfillment…Then I grasped the meaning of the greatest secret that human poetry and human thought and belief have to impart: The salvation of man is through love and in love” (Man’s Search for Meaning, 1984 edition, pages 56-57). The compassionate Frankl’s life experiences, medical practice and horrific setbacks were leading him to reiterate teaching from his own Jewish tradition. Song of Songs had expressed at least 2300 years earlier that “love is as strong as death” (8:6). Death is inexorable, inescapable, and irresistible and so is Godly love. Death seems unconquerable but Love, loving, is its antidote. Song of Songs, had hymned the steely strength inherent in unwavering, sacrificial love: “Love is as strong as death, its jealously unyielding as the grave. It burns like blazing fire, like a mighty flame. Many waters cannot quench love; rivers cannot wash it away” (Song of Songs 8:6-7). Frankl proved that at Auschwitz. In so doing he echoed another Jewish writer, the first century apostle and prisoner, Paul of Tarsus. In his famous “love chapter,” Paul rhapsodized that love is the strongest and most redeeming force in the universe. “Love never fails,” Paul wrote to his Corinthian church, “If I have the gift of prophecy and can fathom all mysteries and all knowledge, and if I have a faith that can move mountains, but have not love, I am nothing…Love does not delight in evil but rejoices in the truth. It always protects, always hopes, always perseveres” (1 Corinthians 13: 8, 2, 6-7). That was the kind of “fire in the mind” that was keeping Frankl alive in Auschwitz. “Let me alone; my days have no meaning,” cried Job. Frankl the therapist knew another writing which has caught the attention of so many thinkers in our troubled times. The Book of Job resounds with Western literature’s most stabbing cry for meaning in the face of senseless tragedy. Finally – after 38 excruciating chapters of ups and downs where Job is allowed to hammer out his grief and anger – God shows up in a whirlwind. Even though Job had stormed away against God and asked for his “day in court,” God virtually exonerates Job (Job 42:7-9). The Almighty rewards him for all his trials, richly compensates him and tactfully reminds even his friend Job that human righteousness and good behavior count for nothing before God (Job 42:12-17). “Does not man have hard service on earth?…I will complain in the bitterness of my soul…I despise my life; I would not live forever. Let me alone; my days have no meaning” (Job 7:1, 11, 16). “Why does the Almighty not set times for judgment? Why must those who know him look in vain for such days? If only I knew where to find him…I would state my case before him and fill my mouth with arguments. I would find out what he would answer me, and consider what he would say” (Job 24:1, 23:3-5). Job got his wish. God showed up and enlarged Job’s perspective (Job 38-41). Job’s cry resounds with sufferers across all time. Yet his faith stands solid: “Though he slay me, yet will I hope in him” (verse 15). Job is not a man who doubts God’s existence. This is a man angry and bewildered at what God has done to him. We are privileged to see “behind the curtain.” God is betting on Job’s faith and patience winning through. Thus, it has been rightly said that the book of Job raises questions that are only answered in the New Testament. 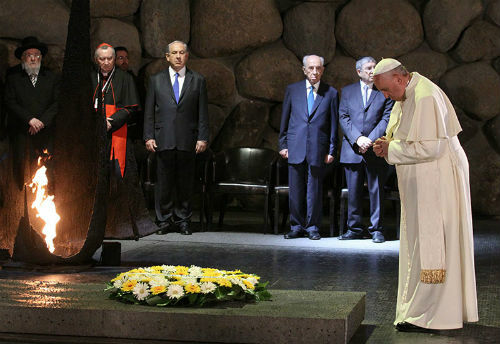 Pope John Paul II visited the Israeli memorial to Holocaust victims at Yad Vashem in March, 2000 and opened the door wider to Jewish-Christian reconciliation. The question of why the righteous and the innocent suffer haunts our stormy times, from Auschwitz to 9/11 to the school shootings and beyond. Of all the innocents the most innocent of all was not Job, but the one called Jesus Christ. Jesus suffered a horrible and brutal death and his sufferings Job prefigured. But his suffering and death had a purpose. It was redemptive. There was splendid meaning, cosmic meaning. In Christian teaching it was by his death that Jesus paid the sins of all who ever lived and by his suffering he set us an example of a life lived well in spite of suffering (Hebrews 2:14-18). For the Christian, God is still there. No matter what. Even when our faith fails temporarily. One lesson of Dr. Frankl’s life is that even in this limited and mundane realm, wise and compassionate folk who adopt a positive, hopeful stance in troubles often find a compensatory meaning to the struggles we must all face. When one chooses to find meaning it is often when meaning slowly comes. Christians are told that one day all suffering is going to be redeemed, nay rewarded. “We will know fully, even as we are fully known” (1 Corinthians 13:12). God is the Great Equalizer. He has promised that “surely there is a future, and your hope will not be cut off” (Proverbs 23:18). That is a promise from the One who tells us: “He will wipe every tear from their eyes. There will be no more death or mourning or crying or pain, for the old order of things has passed away” (Revelation 21:4). Believers look forward to that day and are thankful for the wisdom shared along the way by men and women of understanding, men such as Viktor Frankl.